Dr Driver qualified in Leeds in 1987 and joined the Practice in 1992. She has a keen interest in palliative care and runs the gold standard meeting for the surgery. She is also involved in dementia assessment and care. She has a Diploma in Pharmaceutical Medicine and is involved in teaching with the Hull/York Medical School, has a keen interest in skin related issues and holds our in-house Dermatology clinic. Dr Stephenson qualified in Birmingham in 1993 and joined the Practice in 1998. She has a special interest in palliative care and women’s health and is involved in teaching with the Hull/York Medical School. Dr Burdett qualified in Liverpool in 1996 and joined the Practice in 2000. He is a GP trainer and has an interest in minor surgery. He also has an active interest in information technology and is the lead for Information Governance and the Practice's Caldicott Guardian. Dr Ellerby qualified in Leeds in 1996 and joined the Practice in 2002. Her special interests include contraception and women’s health, is a GP trainer and involved in teaching with the Hull/York Medical School. She is involved with diabetes and long term conditions and is the Practice's Safeguarding Adults lead. Dr Sen graduated from Leeds University and completed her GP training at Church View Surgery. She subsequently became a salaried GP and then a GP Partner in July 2012. She is a GP trainer for GP Registrars and is involved with long term conditions. Dr Chant trained at Royal Free and University College London coming to Hull after qualification in 2006. He joined the practice as a salaried GP in August 2012 following his successful training as a GP Registrar here. He then subsequently became a Partner in March 2013. His interests are in diabetes mellitus and managing long term conditions. He has recently become a GP trainer. Dr Scott joined the Practice as a salaried GP in August 2013 and subsequently became a Partner in July 2015. He is involved in teaching with the Hull/York Medical School and performs in-house minor surgery and joint injections. He has an interest in drug and alcohol addiction and diabetes management. Dr Wallis completed her GP training here at Church View Surgery and became a GP Partner in July 2017. She is involved in teaching with the Hull/York Medical School. 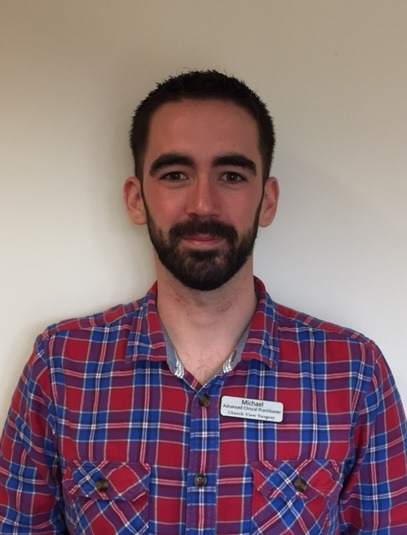 Michael is a qualified and experienced paramedic who joined the Practice in January 2016 working as an Advanced Clinical Practitioner. He has a masters degree in advanced clinical practice and runs clinics at our Hedon Surgery. Michael is currently seeing anyone over the age of 3 with minor illnesses and minor ailments (such as sore throats, ear infections, chest infections, exacerbation of COPD etc). We have three practice nurses and a nurse prescriber. Nurse prescribers are able to prescribe medication and are available to see patients with chronic conditions such as asthma, COPD and ischaemic heart disease. We have four health care assistants who are able to carry out ECGs, blood pressure checks, new patient checks, NHS health checks and bloods. Yvonne holds clinics for bloods, ECGs, spirometry, blood pressures, LTC pre-assessment checks, assists with minor operations and new patient checks. Sarah holds clinics for bloods, ECGs, spirometry, blood pressures, LTC pre-assessment checks, injections and new patient checks. Faith joined the Practice in January 2016 under the GP Health Care Apprenticeship Scheme. She has now completed her training and runs clinics for bloods, ECGs, blood pressures, spirometry and NHS Health Checks. Louise is currently training under the GP Health Care Apprenticeship Scheme and will run clinics for bloods, ECGs, blood pressures, spirometry and NHS Health Checks. Our practice manager is Cathryn Palmer who joined the Practice in August 2009. She is involved in securing a better service for patients through negotiation and links with the CCG and outside organisations. Melanie joined as our practice Pharmacist in 2006 and can provide advice on medication and minor ailments. If you have a medication query please direct it to Melanie in the first instance. Leanne joined the Practice in 2010 and became the assistant practice manager in 2017. She also manages the clerical team. Samantha joined the Practice in 1997 and became the reception manager in 2005. She manages the reception team. Your repeat prescriptions and dispensed prescriptions will be dealt with by our trained dispensary staff. The secretaries and office staff will deal with your letters, results of tests, referrals to hospital and the computers. Without them the system fails! The receptionists are fully trained and have a difficult job to do. Please remember that if you are kept waiting or are asked some apparently irritating questions, this is because of our policy aimed at the smooth and safe running of the Practice. We need to ascertain the urgency of particular requests and sometimes spend longer with patients than we have allowed. District nurses are qualified nurses who care for patients in their own homes, as well as in health centres and GPs’ surgeries. They have had extra training to enable them to advise patients on nursing problems. The district nurse will teach patients about self care and will show carers how to cope in their absence. Their duties range from dressings, injections etc to care of the terminally ill. The health visitor is a registered nurse who has an additional certificate. She is concerned with teaching the principles of healthy living to practically everybody in the family. It begins with the mother of her new baby. She will discuss the many things which can contribute to the growth of a healthy child. The health visitor is in a position to recognise and identify the needs of families in cases where people may not be fully aware of the health risks. Duties may also include school health work and the provision of health education in schools. Working with the elderly is another area of her work. Running specialist clinics is also an area of expertise undertaken by the health visitors.